I stood at the castle school door in my evening gown and tiara waiting for the junior high and high school girls to arrive for an evening of tea and tiaras. 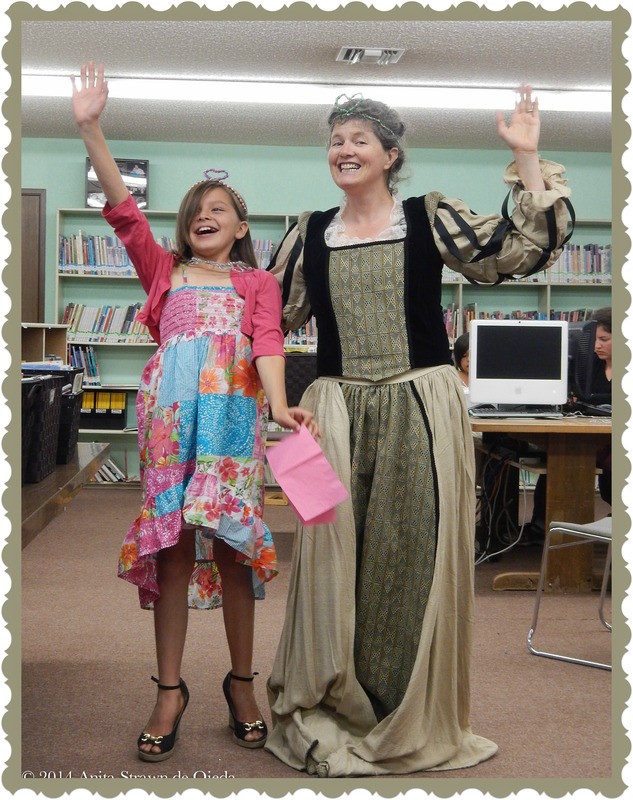 A gaggle of pajama-clad (it was wear-your-pajamas-day at school day) elementary girls caught sight of me and started oohing and awing over my medieval gown and my pipe cleaner tiara. “We didn’t know it was for us, too,” one of them exclaimed. “Can we dress up, too?” a little first grader asked. “But I want to!” she exclaimed. Before I knew it, the gaggle of girls had rushed off to the dormitory. I made my way carefully to the gymnasium (it’s not easy to walk in high heels with a very full skirt and a tight bodice), where I suspected that most of the older girls had congregated. “They probably forgot,” I thought to myself. After all, I had planned the event with them in mind. November 4 marked the release day of Melanie Dickerson’s latest novel—the fourth in a saga of medieval adventure and mystery books set in the fictional German town of Hagenheim. 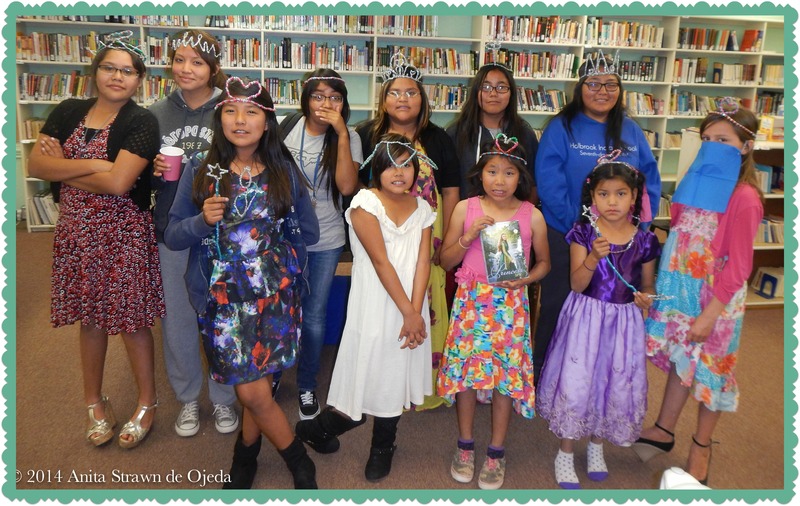 Last year, the older girls had voraciously read the first three books in the series (The Healer’s Apprentice, Fairest Beauty, and Captive Maiden) and then kept asking when the next book would come out. And so to celebrate the release of The Princess Spy, the librarian and I arranged a tea party and tiara making activity—our attempt to foster a love and excitement for reading good, clean books that have strong female lead characters who discover their inner princess as a child of the King. Only two girls had gone to the gym, and neither one wanted to come to the tea party (I got a few strange looks for the boys gathered there, though). It had been a busy and disappointing day. Regardless of the fact that I’d preordered the books six months ago, Amazon had failed to deliver them on time. I’d spent an hour at our local post office while the sweet postal worker searched through bags of Fed Ex deliveries to see if our package had arrived. And now the very girls I’d planned the party for had suddenly declined the invitation. 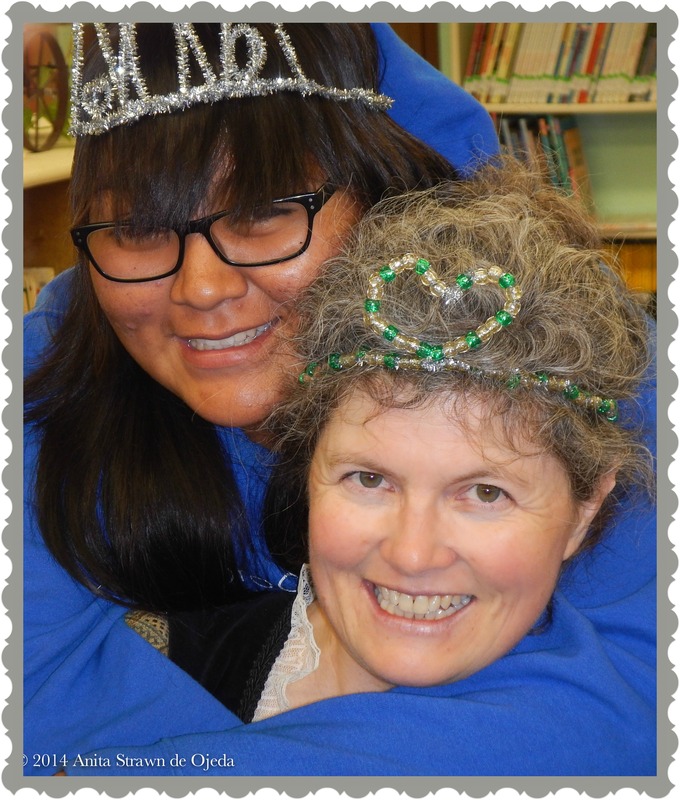 I made my way back to the library and delved into the world of making tiaras out of pipe cleaners and beads with the three students who had shown up. Within five minutes, a bevy of dressed-up little ones arrived—out of breath and dressed in their finest dresses. We had tea and cookies, and they gently touched the cover of the advanced reader’s copy of The Princess Spy. My daughter found a website with examples of tiaras and designed an elaborate affair with swirls and hearts while little girls leaned in to watch. The librarian (my mom) took photos and cheered on the efforts and made sure everyone had hot water for their tea. We oohed and awed over their creations, their creativity and tried to make them feel like royalty. Because they are. Each and every one is a child of God—the King of kings. And maybe that was the purpose of the event after all. Not being able to pass out crisp copies of new books (my students don’t handle a lot of new books, and almost all of them struggle with reading) or encourage a new generation of readers. No, that was my purpose. Maybe God’s purpose was to use us to give individual attention to girls who need to know that someone loves them and values them and sees their inner beauty. I had no reason for disappointment that my intended audience didn’t show up. God’s intended audience arrived instead. Have you ever planned an event that turned out differently than you envisioned?